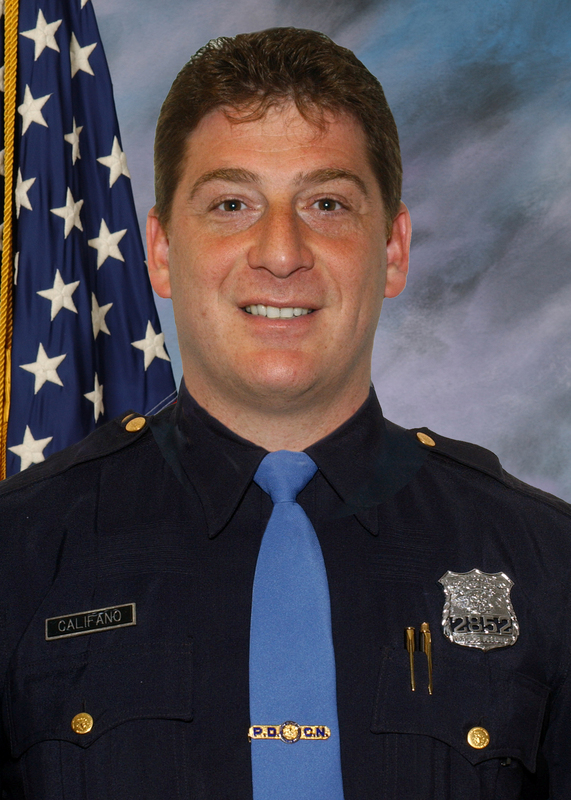 Police Officer Michael Califano was killed when his patrol car was struck by a truck as he conducted a vehicle stop. Officer Califano pulled over a box truck on the Long Island Expressway near exit 39 for insufficient lighting. As Officer Califano was sitting in his patrol car writing a summons, it was struck by a flatbed tow truck. The force of the impact pushed the patrol car under the box truck and knocked the box truck into traffic. The flatbed truck ended up on top of the police car. It took rescuers thirty minutes to cut through the roof of the patrol car and remove the officer. Officer Califano was taken to the Nassau University Medical Center where he died from his injuries. The driver of the flatbed truck was arrested and charged with one count of criminally negligent homicide, three counts of assault, and failure to move over for an emergency vehicle. In February 2013 the subject pleaded guilty to reckless driving. Officer Califano had served with the Nassau County Police Department for 12 years and was assigned to the Highway Patrol. Before that, he worked for the Nassau Corrections Division for 10 years.